Designing your own 3D printable object can be daunting if you’ve never used a 3D CAD program before. This is a challenge that one of my university classes is facing, with most of the students new to 3D design, but eager to begin experimenting with 3D printing. So this week we explored a workflow that allows them to take their hand-drawn sketches through a couple of simple processes, resulting in a 3D printable file, without having to model in 3D from scratch. So here it is just for you – follow along and let me know how you go. This is the easy part! Find a sketch that you’d like to turn 3D. It’s best if it’s drawn clearly in pen, so if your sketches are in pencil just trace over them on a fresh sheet of paper. For this example I’m borrowing a sketch from online. You must then digitise your sketch – best using a flatbed scanner, or take a photo in good lighting conditions so you get good contrast between your linework and paper. We are going to use Adobe Illustrator to automatically trace the outlines of our sketch. Place your sketch into a new document, and you will see a “Live Trace” or “Image Trace” button appear (depending on your version of Illustrator) near the top menu. You may find that one of the preset options will give you an accurate tracing, or you will need to get into the options and start tweaking the settings. I have an older version of Illustrator, but the settings that work for me are shown above. What you are looking to achieve is a good level of detail, and nice closed lines. Once you have a good result, you can use the “Expand” button to turn the result into individual lines that can be selected. You can also go to the menu and select Object>Ungroup so that your linework is no longer all grouped together as a single item. If you have a collection of sketches like this example, you will want to now Save your file (so you can come back to it and make changes later on), and then delete everything from the file that you don’t want to turn 3D. 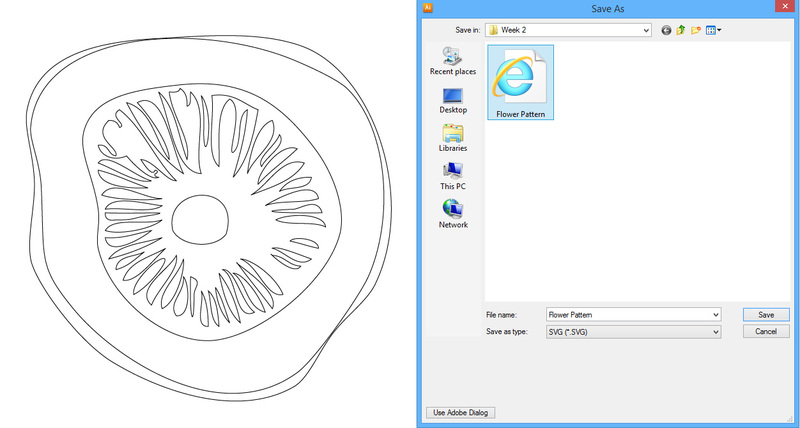 For this example, I have just left the flower tracing that was in the top-right corner. Go to File>Save As and save this drawing as a SVG file. This is a 2D drawing format that will be recognised by our 3D software. 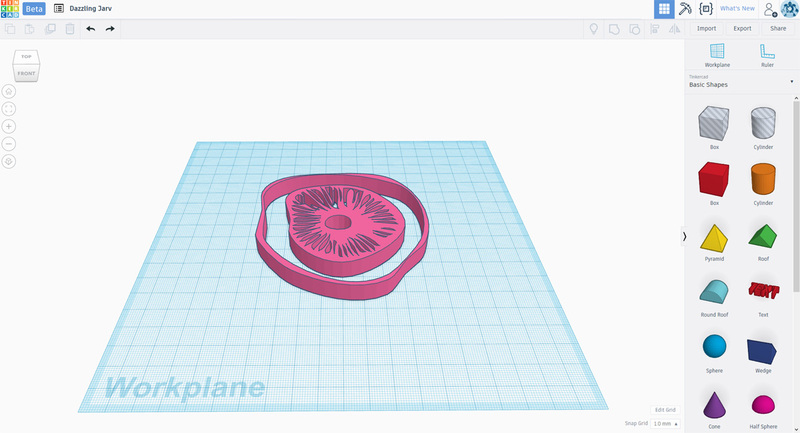 For this example we are going to use the freely available 3D software Tinkercad – one of the best features being that it runs from your internet browser, no need to download and install anything. I recommend it as a great place to start your 3D modelling journey, however if you’re already using a more advanced 3D CAD program you can still follow along with this tutorial – the process will be quite similar. 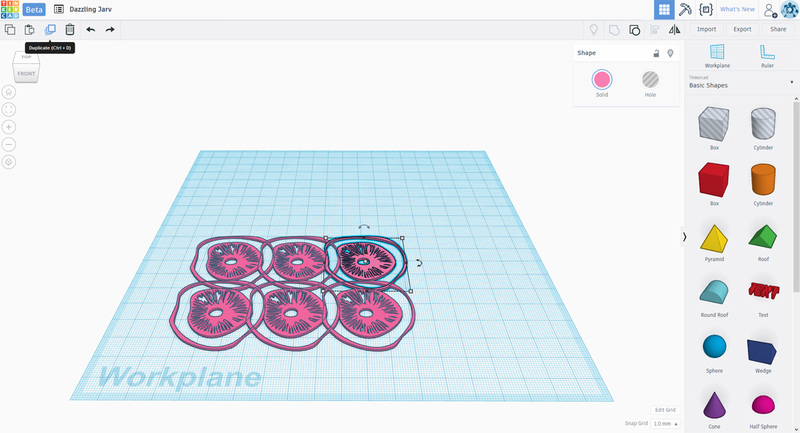 Create a new Tinkercad file, and at the top right of the workspace is the “Import” button – select your SVG file and it will automatically be turned into a 3D object as shown above. Depending on your sketch and requirements, this might be all you need to do and you can jump straight ahead to Step 7: Exporting. However I want to make some modifications to this design now that I have a good starting point in 3D. For my needs this object is too thick – I only want it to be 2mm tall. In the right panel of objects is a translucent box – this box is like a cutting tool, anywhere it touches my 3D object it can be used to cut away at it. Place a box in the middle of your 3D model, and use the Length and Width sliders to fully enclose your 3D model. Lastly, rotate your model to a side view and you will see an arrow pointing up or down – click-and-drag on this to move the box up 2mm above the workplane. Now select both the 3D model and the box (either click-and-drag a selection box around the workplane or hold the Shift button and select both objects) and you will notice at the top right the Group icon becomes available. Click on this and Tinkercad will subtract the box from the 3D model, leaving just a 2mm thick object. 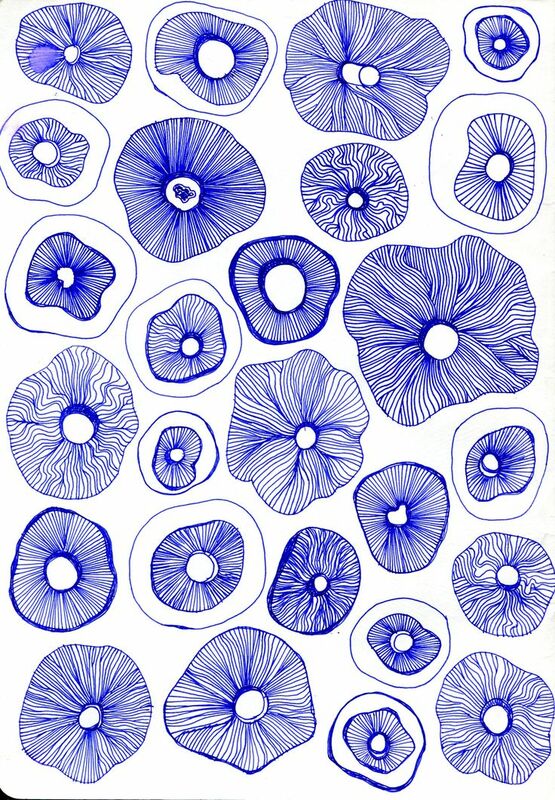 Rather than just printing one of this design, I want to create a more complex pattern. Firstly I need to scale the design down so that it’s a bit smaller. Do this by clicking on the object, holding the Shift button and using the corner handles to click-and-drag the object down in size – mine is about 40x40mm. With my object selected, at the top left of the window are the standard Copy and Paste actions, as well as the Duplicate option – this is the option I use to make copies. It may copy the object in the exact same position as the original, so when you click Duplicate just click-and-drag this copy out into a new position. Repeat as many times as you like to create a pattern. When you’re happy with the design, you will need to join all of these individual elements together into a single object. Similar to step 5, select all the objects together and the Group button will become active – however because all of these objects are solids, the Group function will join them together rather than cutting away. When your design is complete, use the Export function at the top right of the window to download the object to your computer. The STL option is most likely what you will want for 3D printing. 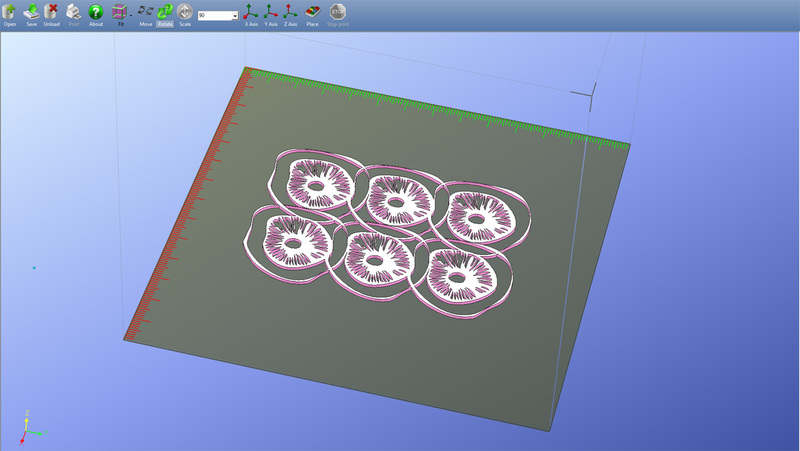 The STL format is the standard file type for all 3D printers. Finally you can load your STL into your 3D printing or slicing software and 3D print! If the print doesn’t give you the result you want you can either go back to the Tinkercad file and make some more modifications in 3D, or take a step further back to Illustrator and modify the original linework. Use Marketing Tips to Sell your 3D Designs! This is a really great resource, so please share it around! If you’re looking for more specific tutorials, you can also check out some previous blog articles I’ve written for Pinshape including How to Repair STL Files and How to Modify STL Files: A Beginner’s Guide. 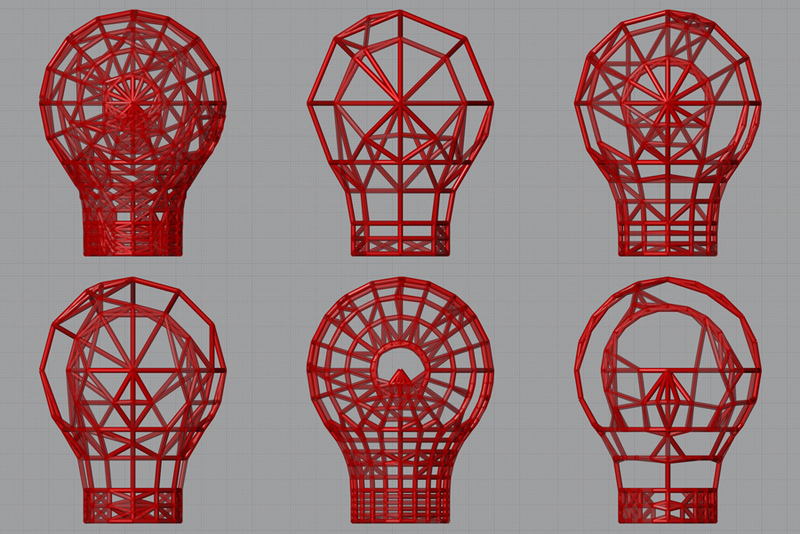 A few weeks ago I designed a 3D printable light cover (lampshade) inspired by a shattered lightbulb – you can read more about it and download the STL file for free by clicking here. I’ve been taking the concept a bit further using Grasshopper in Rhino to explore the ability to generatively create endless forms within the exact same bounds, meaning every iteration can be successfully 3D printed. Above are some of the outputs from this experimentation. These are going to be 3D printed for an upcoming exhibition at Design Philadelphia, along with the complete interactive CAD model which will allow 2 people to work together to customise the lamp design using Wii game controllers, turning the design process into a game-like experience. There’s a bit of work left to go to get this interactive element right, but it will hopefully show how CAD may move from being a complex, time-consuming skill to learn into something much more tactile and interactive for the every-day consumer. 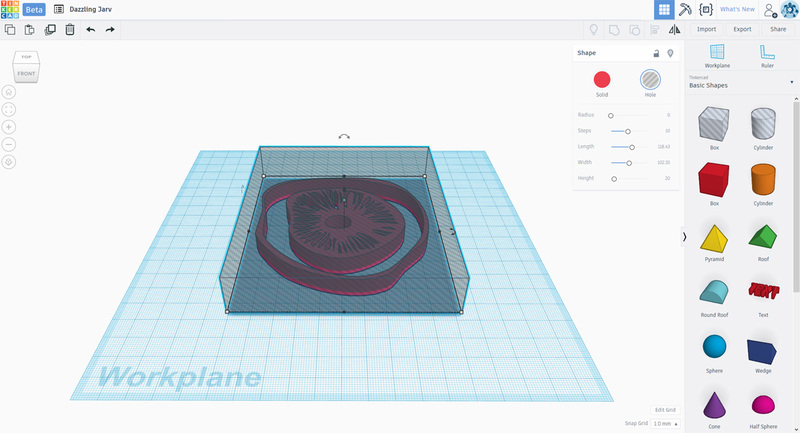 There are already a handful of interesting apps surfacing such as the Shape Maker tool from Makerbot, or the 2D to 3D tool from Shapeways, which make creating 3D files as simple as drawing a sketch on paper and taking a photo. But generative tools like I’m working on may be the next generation, allowing far more intricate and complex forms. What do you think would be useful for non-designers to create 3D CAD files? Once again I’m finding MeshLab to be a must-have tool for manipulating STL files (read my previous post about using it to reduce file sizes by clicking here). I’ve just downloaded the files for a Raspberry Pi B+ enclosure from Thingiverse (click here to get the free files) which I’ve started printing on my ‘Up! Plus 2‘ 3D Printer. However I wanted the Nintendo logo on the lid part rather than a blank surface. Enter MeshLab. I started with extruding the text in Solidworks (image 1), and exporting this as an STL. Any CAD package should do this for you. Both files can then be opened within MeshLab ready to combine (something that can’t be done in Solidworks). The problem with MeshLab is that there is no simple way to align multiple files, unlike Solidworks parts where you would simply ‘mate’ surfaces together. Instead you must manually rotate and move the parts into the orientations desired. Not a big problem for simple parts like this where position and alignment don’t need to be perfect, it’s just for looks (image 2). Once in position, you can right-click in the layers panel, and use the ‘Flatten Visible Layers‘ tool to combine the STL’s into a single solid. Export this new file as a STL and you’re ready to print! Stay tuned for some photos and details as I print this part out, along with the full enclosure.